Colin Edwin - New Album with O.R.k. Colin Edwin has joined up with his Obake bandmate, vocalist Lorenzo Esposito Fornasari, drummer Pat Mastelotto (King Crimson) and guitarist Carmelo Pipitone (Marta Sui Tubi) to form the band O.R.k. Their debut album "Inflamed Rides" is now available for pre-order by following this link. To hear another full track and for further details on the album pre-order and remix contest, visit the band website at www.orkband.com and see also Colin's blog page. 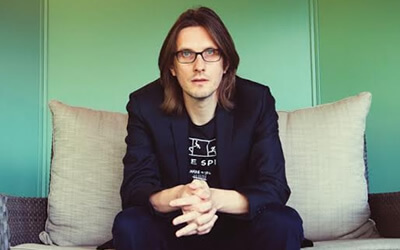 Steven Wilson has released Perfect Life, taken from his new solo album album "Hand. Cannot. Erase." (released 2nd March). Video directed by Youssef Nassar. Vocals, acoustic and electric guitars, keyboards, mellotron M4000, programming – SW / Chapman Stick and backing vocals – Nick Beggs / Fender Rhodes – Adam Holzman / Drums – Marco Minnemann / Voice – Katherine Jenkins. Steven Wilson will be touring “Hand. Cannot. Erase.”, starting in the UK in March before heading to Europe, the Americas and Canada. More information here. Steven Wilson's fourth solo album “Hand. Cannot. Erase.” will be released on Kscope in February 2015. More news and previews about the new record will be revealed soon, including information on how to pre-order a very special deluxe edition. Steven and his band will be touring the UK and Europe next year, the dates for which can be seen below. Colin Edwin's Twinscapes project, a joint collaboration with Italian bassist and composer Lorenzo Feliciati (Berserk!/Naked Truth), release their debut album this week on Rarenoise. Mixed by legendary US bass player and producer Bill Laswell and featuring guest contributions from Norwegian trumpeter Nils Petter Molvaer, former Van der Graaf Generator saxophonist David Jackson, Swiss percussionist Andi Pupato (Nick Bartsch's Ronin) and drummer Roberto Gualdi from Italy's PFM, Twinscapes has already been described as a "...subtle contender for the year's first truly great instrumental album". .....where various combos of digital, CD and vinyl are available. You can also visit Colin's blog page and website for more information. John Wesley releases a brilliant new solo album “Disconnect” on 31st March. Wes appeared as the fifth touring member of Porcupine Tree at every PT live performance between 2002-2010 (and on the band’s live releases from the period), and this is his first full length solo album since 2005. As well as Wes’ four piece band, the album features a guest appearance from Alex Lifeson of Rush. 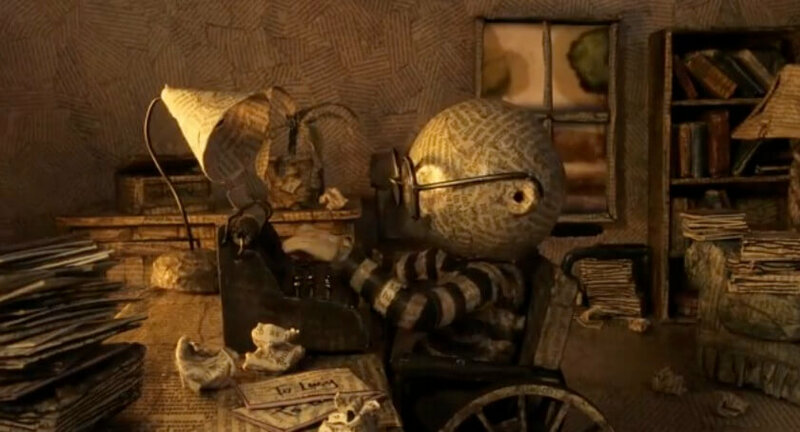 Here is the new video for Steven Wilson's 'Drive Home' by Jess Cope who previously directed the video for 'The Raven That Refused To Sing' and Storm Corrosion's 'Drag Ropes'. Now available to pre-order is the 'Drive Home' video EP, which contains unreleased tracks, videos, live recordings, high-definition audio and more. The Raven That Refused To Sing (And Other Stories), the new album from Steven Wilson is now available across the world. The album has been incredibly well received and looks start to chart highly in a number of countries. The Guardian in the UK awarded the album 5/5 stating, ‘this album shows Wilson to be one of modern rock’s most cunning and soulful protagonists’, Visions in Germany named it Album of the Month, hailing Wilson as ‘the greatest Prog mastermind of his time!’ and Eclipsed awarded the album a very rare 10/10, proclaiming ‘if you only buy one album for the rest of your life, buy this one!”. "Octane Twisted" the new double CD live album including bonus DVD will be released on Kscope Records on November 19th. A regular 2 cd only version will be available at a later date. CD 1 comprises the whole of "The Incident" recorded at the Riviera, Chicago 2010. CD 2 track listing is as follows - with tracks 5 to 7 recorded at the Royal Albert Hall. The bonus DVD, which is a 6 camera shoot production, was never intended to be a standalone DVD release but nicely documents the live performance of "The Incident" in front of a typically lively Chicago audience. Click here to pre-order from Burning Shed.